Continued growth in energy prices doesthe issue of quality of thermal insulation of premises more and more important. To carry out this activity - is not only an opportunity to save money on heating, but also gain a sense of unalloyed comfort. The right choice of heater - half the battle. The construction market offers a great many varieties of it, to decide, of course, is not easy. Warming square meters under our feet, among the whole complex of "insulating measures," perhaps the most important stage. Why? That they bear the main operational load - and the nature of the room a special role does not play. 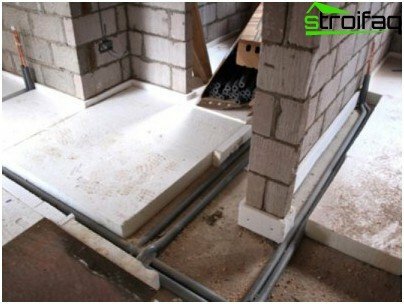 The use of polymeric foam materials, particularly floor insulation polystyrene, may be the best solution for the thermal insulation of your home. Under foamed polymers (in this case) is meant foam, polyurethane foam, polystyrene foam, penopropilena. The foam and extruded polystyrene? And extruded polystyrene and foamhave "kindred" chemical composition, since both products - "derivatives" of polystyrene. But in the process of exploitation of both products (as insulation), it becomes obvious that the characteristics of the add still vary greatly. This is due to fundamental differences in the production technology. Production of foam - a certainnumber of steaming cycles the steam feed (polystyrene, placed in shape). The result is an increase in granule and they were "baked". During the growth of each of the granules it is not only increase their surface, but the increase in the micropores. The passage of time and exposure to the outside provokesweakening of bonds; there is a gap, the material simply "falls apart" in the granules. Weak their physicochemical interaction explains the low strength foam (particularly flexural response) versus polystyrene product prepared by extrusion. Extruded polystyrene has a wholemicrostructure - a mass of closed cells, which are filled with gas molecules. Intermolecular chemical bonds are much higher, "foam". The impermeability of cells leads to the conclusion that the penetration of liquids and gases from one to another is not possible. Access is only possible outside agents opened (located on the side surfaces or sections) of the cell. Gradually (slowly but surely) replacing Styrofoam extruded polystyrene - a global trend. Penoplex same - it is domestic, "the nickname of" extrusion polystyrene. Foam polystyrene is often referred to, but when it is carried out on the extruded polystyrene, remember - this is the material type "Penoplex". Well, it's time to move from the theoretical to the practical points. 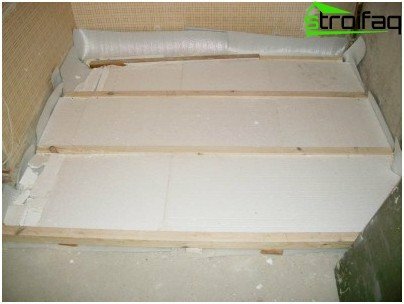 The foam - commonly used material for thermal insulation of floors and more. 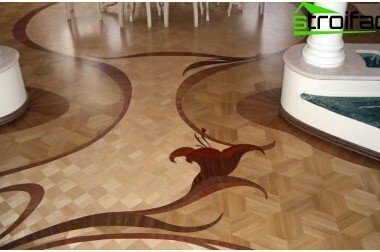 Warming of the floor with the help of a convenient, simple, and most importantly - does not require significant financial costs. Following chipboard fit (decking), concrete or sand-cement mixture (about 6 cm thick). To work with the insulation - a real pleasure, it easily lends itself to mechanical stress, is lightweight. Naturally, the main factor contributing to its popularity - cheapness. 98% of the material - the air, which is known to be excellent thermal insulator. 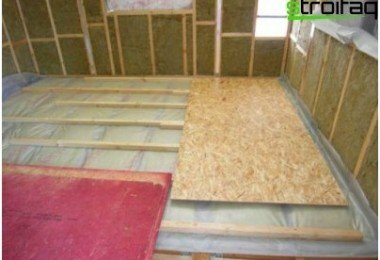 EPS boards - is not only an effective means of thermal insulation: they can be used to significantly reduce the transmission of impact sound (rearrangement of furniture, steps). durability. 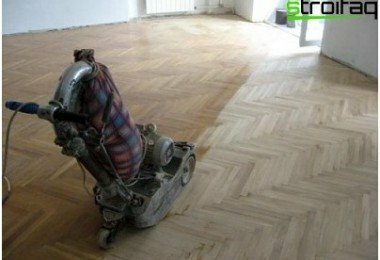 The foam is able to last for decades, if not slezhivayas and not rotting. Penopleks- chemical and biologically inert product type with a low degree of flammability. 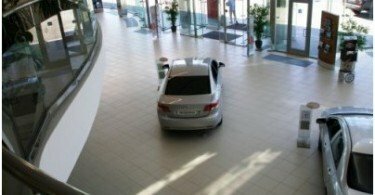 The advantage ekstudirovannyh polystyrene plates becomes extremely clear when the device "bespodvalnyh" building (the floor of the first floor is located directly on the ground). Thermal insulation of expanded polystyrene efficiently even under the most extreme conditions (humidity, low temperatures, mechanical loads). Closed-cell structure gives Penoplexthe ability to lay it under the waterproofing membrane. Levelling layer - sand. The thickness of the underlying layer - 100 mm. 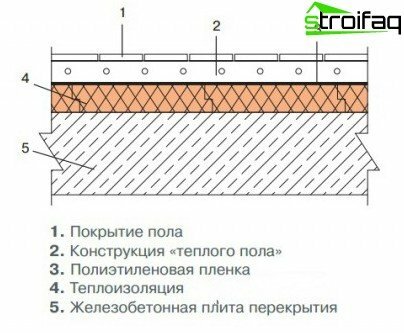 Waterproofing of the top insulation must be carried out "cold bonding", exclude the presence in the composition of the adhesive plasticizers and solvents. At first glance it may seem penoplex very brittle, fragile. Believe me, it is not. He can be warm not only the typical premises, but also facilities and garages. 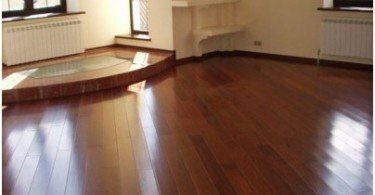 Thermal insulation is becoming absolutethe necessity of the presence of floor heating systems. The problem in this case polystyrene - to reduce heat transfer unnecessary directions. Due to the fact that the flow is not dissipated, energy costs are reduced. 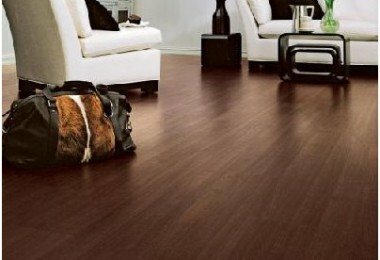 Otherwise, heating, in addition to your floor, the ceiling will be subject to a neighbor or a basement. Expanded polystyrene is placed directly on the panel. Already on it, "constructed" warm floor. Prevent getting into the seams of the cement milk will help scotch. In the case of placing on the leveling Penoplexlayer placed on top of it waterproof. Traditional roofing material can be placed under the insulation directly on the concrete. interface nodes "stena- floor" is very important to protect them from cold bridges. Place the film on the basis of polyethylene. Between logs wooden crates lay insulation. This arrangement provides for uniform floor load on the frame - as teploizolyanta in this case can use not only the extruded polystyrene, foam and conventional. Before installation, be sure to seal the structure cracks and other damage to the base - the rodents you to anything. Over lag lay OSB or chipboard, then set the desired coating. Styrofoam waterproof, fireproof. Its scope is exceptionally broad. In addition to flooring, polystyrene insulated foundations, facades, walls, basements - and it's all thanks to meet the highest requirements of modern teploizolyantam. 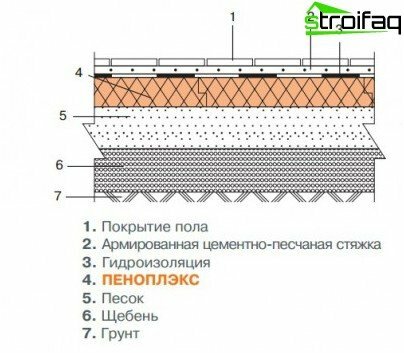 Not only due to the thermal insulation propertiesfamous for its "family of foam" - his "representatives" are able to provide even and effective sound insulation (fundamentally important is this feature for industrial zones and big cities). Expanded polystyrene is environmentally friendly. It has low weight - it is convenient to transport and install. 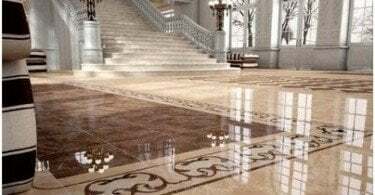 Due to the structural stability and the stability of the material can rightly be called an optimal solution for thermal insulation of floors and other surfaces in any climatic zones.